The Walls Group made a big splash on the gospel charts with their 2014 major label debut CD Fast Forward and the single Perfect People. Like some of the best acts in music, they are a family group in the tradition of great gospel groups like The Clark Sisters and Mary Mary. The Walls Group are from Houston. There are eight siblings in the family and four are The Walls Group. They are Darrel McGlothen Walls, Rhea Walls, Alic "Paco" Walls and Ahjah Walls. 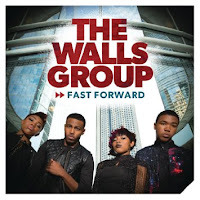 They released the CD the Walls Group independently in 2012 and posted videos on Youtube. The buzz around this teen gospel group got the attention of another Texan named Kirk Franklin. He signed The Walls Group to his Fo Yo Soul label distributed by Sony. He produced their 2014 CD Fast Forward. Franklin knows how to produce gospel music that will appeal to young people. Franklin also makes a guest appearance on the album and so does Brandy and Lecrae. The album zoomed to the top of the gospel charts and Perfect People also did well. They were nominated for a Grammy and Stellar awards. Franklin wrote most of the songs on the album including Perfect People. The Walls Group do write so maybe on the next album they will have more input into the songs. They released a Christmas EP in 2015 and they are currently touring. I would expect them to begin working on new music very soon. Here's the video for Perfect People by The Walls Group.